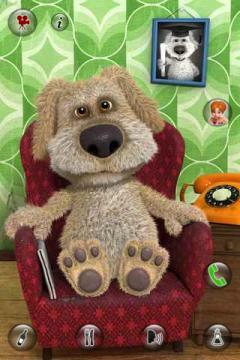 Talking Ben the Dog - Ben is a retired chemistry professor who likes his quiet comfortable life of eating, drinking and reading newspapers. To make him responsive, you will have to bother him long enough that he will fold his newspaper. Then you can talk to him, poke or tickle him or even have a telephone conversation with him. · Poke Ben's newspaper to make him fold it. · Then you can talk to Ben and he will repeat. · Poke or slap Ben's face, belly, feet or hands. · Poke or swipe Ben's graduation picture. · Press the phone button and have a conversation with Ben. 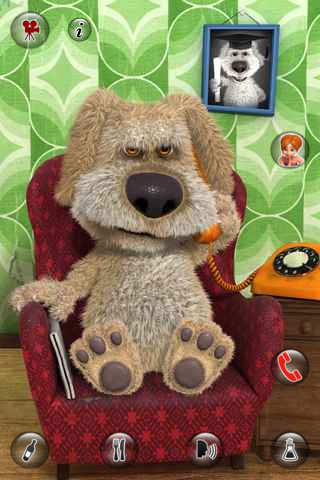 · Record a funny video of your telephone conversation with Ben. · Press buttons to make Ben eat, drink or belch. 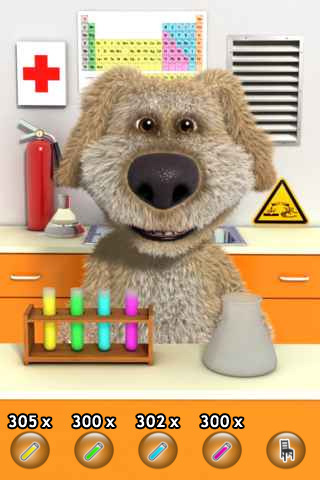 · Press the chemistry button to switch Ben to the laboratory. 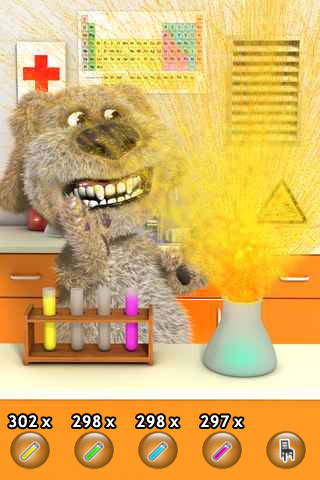 · Mix any two test tubes together and see the hilarious chemical reaction. · Record videos and share them on YouTube, Facebook or send them to your friends and family by email or MMS. IMPORTANT: iPod Touch 1st, 2nd & 3rd generation owners: Your earphones must have a microphone otherwise Ben won't be able to hear you! · Make Ben get into all kinds of hilarious trouble with the infinite supply pack. · Use your Facebook login information to make it easier to share videos with your friends. 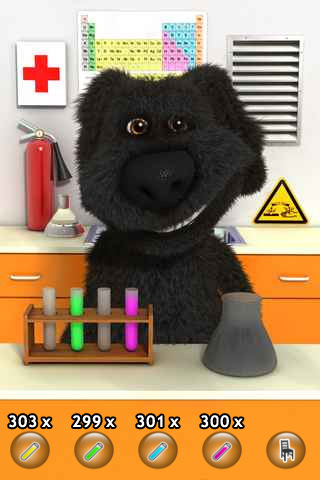 · Be the first to get news on Ben and all of the Talking Friends characters with the Outfit7 newsletter. Princess Chocolate HD - There's someone who loves chocolate more than anyone in the world. Even you. Her name is Princess Chocolate. Princess Chocolate eats nothing but chocolate. But one day, all the chocolate in the kingdom runs out and Princess Chocolate is not amused. But, suddenly a visit from an old lady changes everything ..